As a professional tiler we know that you are looking for more than quality products, technical advice and product support – we understand that value for money for you and your customers is just as important – which is why we have a great range of BAL promotions available for you today. Check out our great BAL promotions and new initiatives below or find great offers at your nearest BAL stockist to help save you money on your next job. With innovative Fibre-Strand Technology (FST), bed depths up to 80mm and suitable for use over most bases including timber, BAL Level Max levelling compound is the latest innovation from the market-leader. 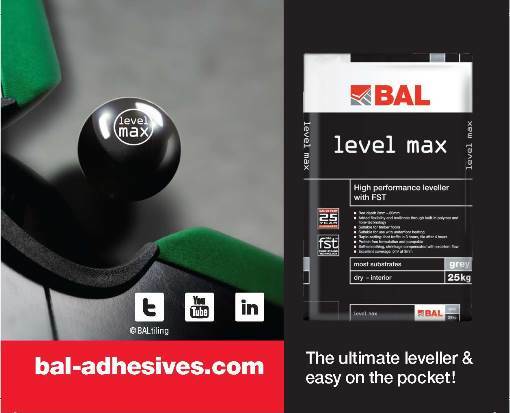 Combining the benefits of BAL’s levelling expertise, BAL Level Max provides contractors and specifiers with a complete, all-in-one product for preparing a finished internal floor surface for the installation of tiles, natural stone, vinyl or soft furnishings. Contact your nearest BAL stockist for more information. 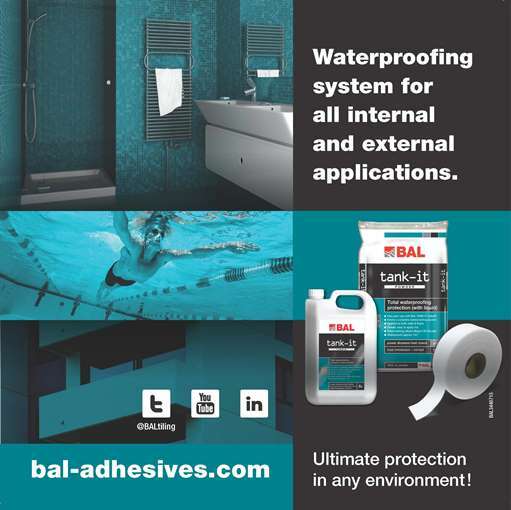 BAL Tank-it provides ultimate waterproofing system for any tiling project – internal or external. This two-part product is rapid-setting – meaning you can tile after only 90 minutes, while not matting is required! Easy to use, BAL Tank It can be applied simply using a standard notched trowel, and as it conforms to BS EN 14891 classification it can be applied outside for projects including swimming pools, terraces, balconies, even fountains. Contact your local BAL stockist for more information. Search by postcode or company name to find the latest promotions from your nearest BAL stockist.